This apple pie pudding is both healthy and delicious, and for all those people who cannot have dairy, it is a great recipe and dessert. Also good for children in that it does not have much sugar. This is another recipe that I have made recently using gelatine, which has many varied uses, both savoury and sweet. Here is also an article on the health benefits of gelatine. Put the apples, coconut oil, lemon juice, maple syrup and 1 only tsp of the cinnamon in a saucepan. Stir thoroughly to coat the apple. Over a medium heat, cover the pan and cook for about 15 minutes or until the apples are slightly softened. Stir a few times. If the mixture is dry, remove from the pan and add about 1 tbsp of water and scrape the bottom. Put this mixture into a blender, add the coconut milk, the remaining 2 tsp of cinnamon and the avocado. Put the galetine in a small bowl and add 2 tbsp of room temperature water. Whisk with a fork until it turns into a paste -this takes only about 30 seconds. Immediately add this paste to the blender and blend until smooth. Put the pudding into 3 or 4 glass dishes. Refrigerate for about an hour before serving, and top with whipped coconut cream (optional). A non sweet, healthy dessert for the whole family! 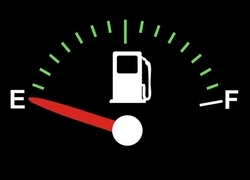 How often do you have to put petrol in your car? NO, donjo -it was not sweet! in fact could have been a bit sweeter! Oh! Finy, 3 Tbsp Maple Syrup! That's nice, & sweet, methinks! Lol!